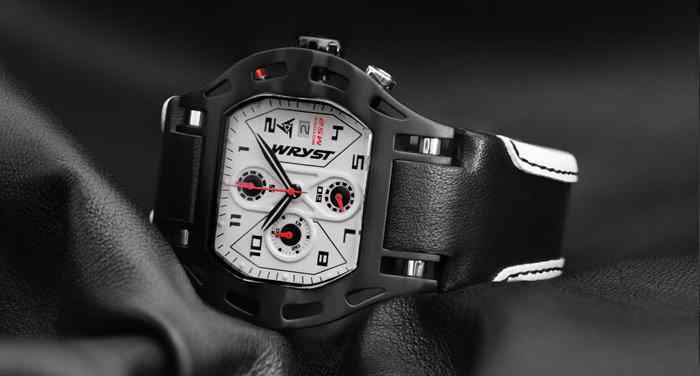 The Black Sport Watch 'Wryst Motors MS2' motorsport-inspired and Swiss Made is the ultimate racing cars sport watch. 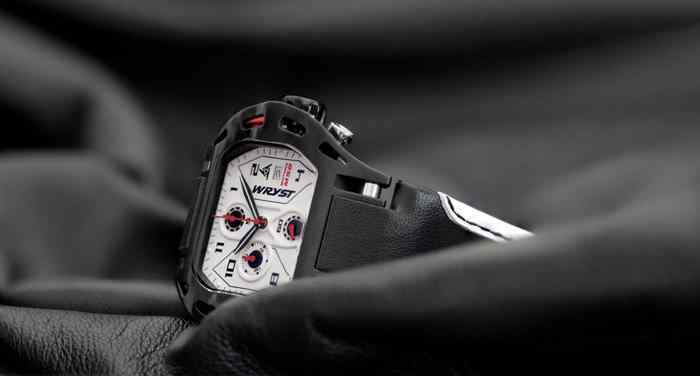 Produced In limited edition of 99 pieces only, this luxury black watch with a sporty groundbreaking case design and white dial will make you feel special and ready for the challenge. 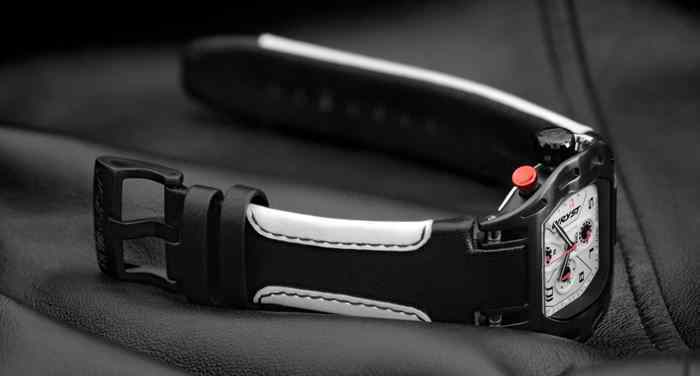 Wear it fitted with the high-quality cowhide genuine black leather strap. 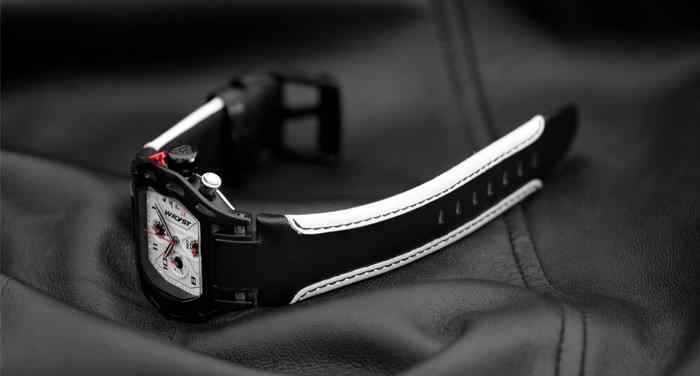 The black DLC coating on the case, the crown and the bold square buckle will guarantee a long lasting experience. 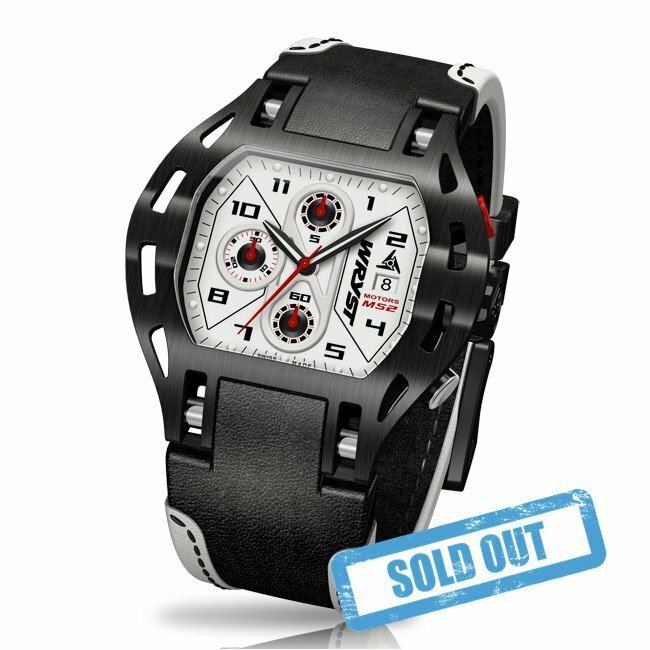 The 'Motors MS2' luxury watch has the same black 'Diamond-Like Carbon' coating used in Formula 1 engines and aerospace for its incredible hardness. The "K1" crystal is also super tough; Ultra resistant material more scratch proof than mineral crystal, it is also more shatterproof than sapphire. Running the gold plated Swiss Startech Ronda 3450 with 5 jewels. This chronograph has a unique lay out on the dial with sub-chrono at 12, 9 and 6H. Battery lifetime is 53 months. Certainly unusual design, very much inspired by motorsport and you can tell buy the design, all around winner. Will buy another one soon!